Keep your Patriots memories close with this New England Patriots Super Bowl LIII Gold Coin and Ticket Collection 27x20 Picture Frame. 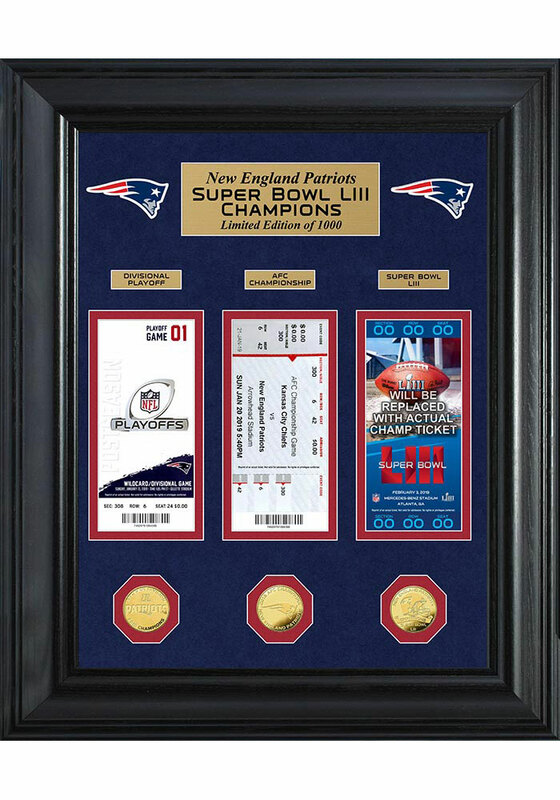 You'll love looking at your favorite Patriots moments with this Picture Frame, which features a 3 replica tickets and 39mm commemorative coins for the AFC Divisional Championship, AFC Championship, and Super Bowl LIII matted in a black 27x20 wood frame. Each frame has an individually numbered certificate of authenticity pasted to the back. Limited edition of only 1000.